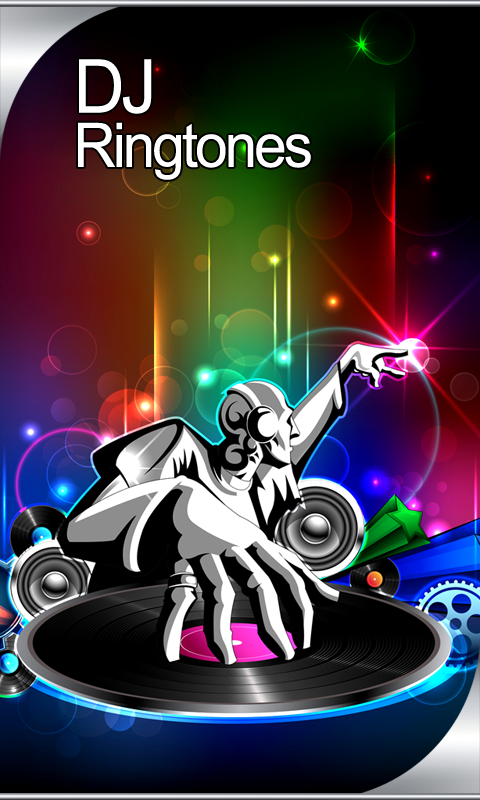 DJ Ringtones App is a wonderful collection of free most popular DJ sounds and ringtones, sms and alarm tones. 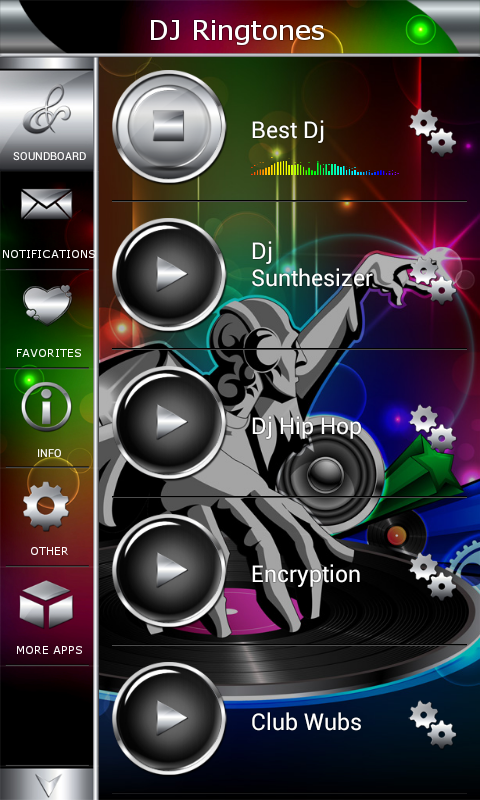 Now you can become a disc jockey, you can play and listen DJ sound effects via your Androidâ„¢ device. Top DJ ringtones are here for you. 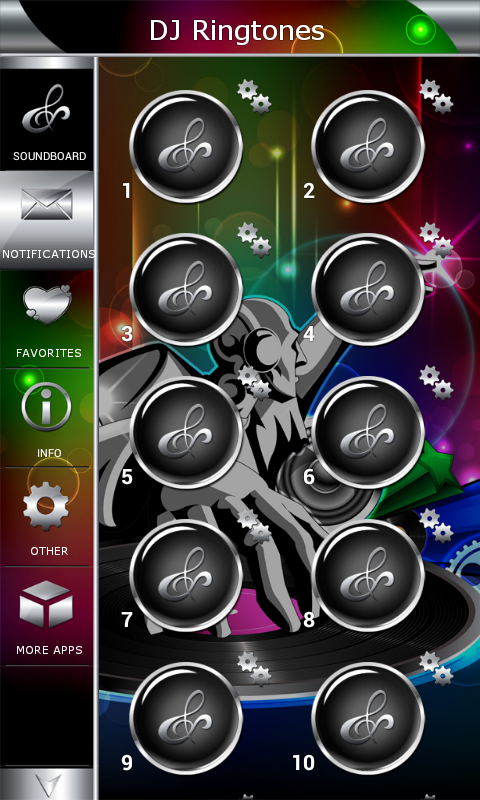 Download this new app for free and get your own soundboard with cool melodies. DJ music is very popular in DJ clubs and discotheques, so, if you are fan, we are sure that this incredible DJ beats of disco sounds, hip hop and Dj remix music will tickle your imagination. You can make your dance floor and organize your own DJ party even at home or office. Best DJ beats, drum mix, scratch and many other sounds can be on your cell phone right now. Club mix ringtone, house rock and many dj effects will make you wanna dance. You can make jokes and have fun with fart sound, also included in this dj app. 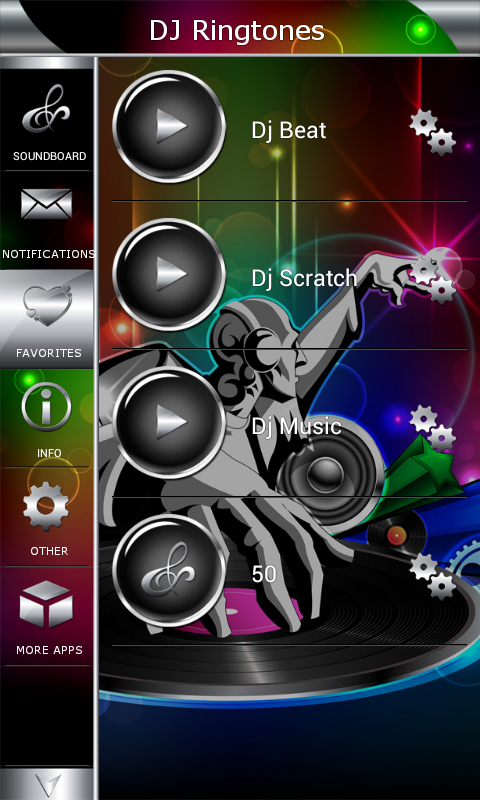 Be unique DJ and play the latest high quality DJ songs on your cell phone. DJ music was very popular to the late 1980s and early 1990s, and genres of house and techno, are the first genres of music in the world to be played at raves. Download and share this cool dance ringtones app for free, and you will have opportunity to feel loud beats, as well as to set some dj remix tone as ringtone, sms or alarm. We made for your phone and tablet best and must have app. Do not wait any more, grab these funny ringtones and popular melodies right now, and make your smartphone reacher and most interesting then any other. Come on, move your body now. 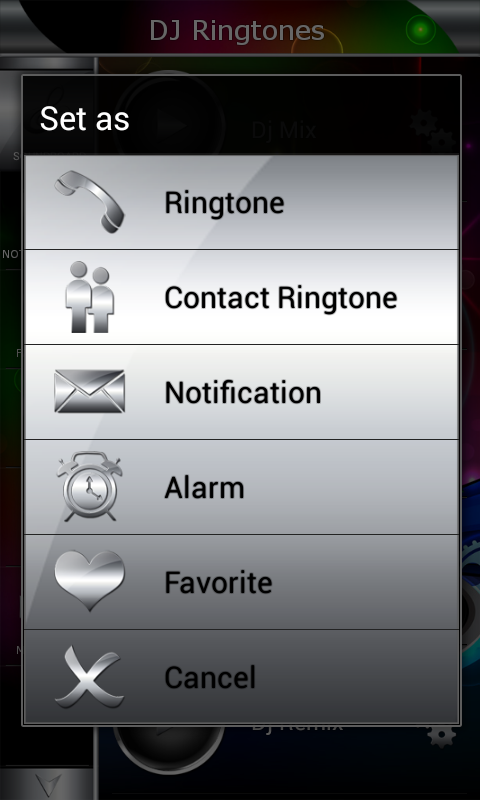 New ringtones, best notification sounds and popular alarm tones are what this app has to offer you. 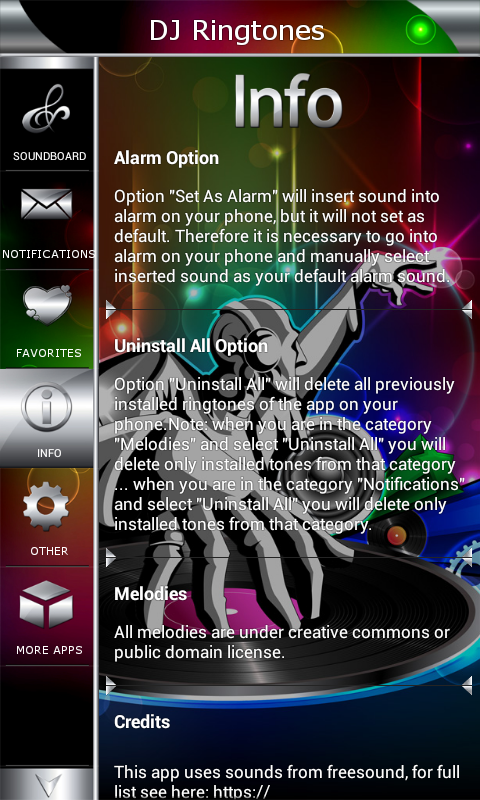 You can change tones every day and have hot melodies on your cell or tablet all the time. After you explore and listen all tunes, you have an additional option to place favourite ones in the favorite folder so you can enjoy them later. If you like these free sounds there is also an option to share app with your friends and family through popular social networks, email or sms, or simply you can just use your headset to enjoy cool ringtones. Use â€œMore appsâ€ button at the bottom of the main menu to check out our other great ringtone apps and personalize your android device's sounds even more. Download app for free and enjoy ringtones. Features: top 40 high quality ringtones; top 50 notification sounds & sound effects; set your default ringtone, notification, sms or alarm; set your favourite ringtones; assign cool ringtones to your friends and family; Last but not least , application has been tested on many devices to ensure the best possible user experience. If you have any difficulties do not hesitate to contact us so we can correct it in the next update. Wish you all the best and lot lot of fun.